Find blissful sleep with our most wholesome pillow. 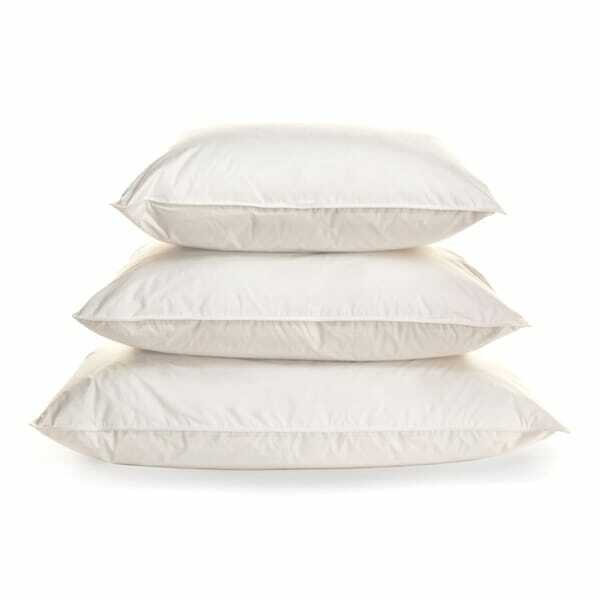 Created with organic, unbleached, undyed, eco-friendly and chemical free cambric cotton and a plush 800-fill Hypodown, this pillow will leave nothing unnatural between you and your most peaceful night's rest. With its natural and dye-free processing, it appears ecru in color with dark speckling and maintains a pressed-feeling texture. Giving Back: We dreamed of a world where our needs matched the needs of the world and grew together harmoniously. Good business isn't just about the bottom line; it gives as much as it takes. So we worked to turn our milkweed farms into monarch butterfly sanctuaries that enrich the environment, economy, and world around it. We all depend on each other and we know that none of us succeed without caring for those around us.